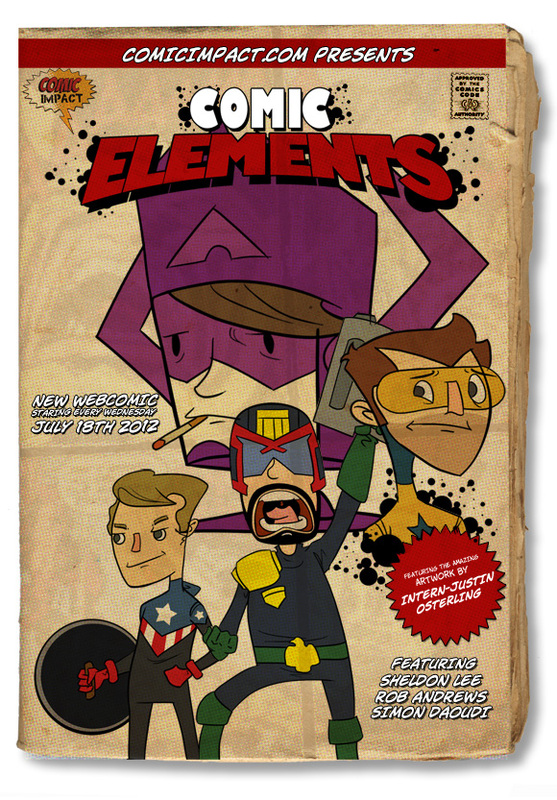 Comic Elements is a webcomic following the whimsical misadventures of the wonderful characters that are involved in Comic Impact, along with anything I deam relevent in the world of comics that might be entertaining and/or funny. Which is mostly going to be half-truths and exaggerations, because well, I like to make things up. It’s called fiction for a reason! So make sure you stop by every Wednesday to see a new comic and follow me on twitter @InternJustin to catch more whimsical comedy!